The above is a portrait drawing of user / beverbutts on RedditGetsDrawn. 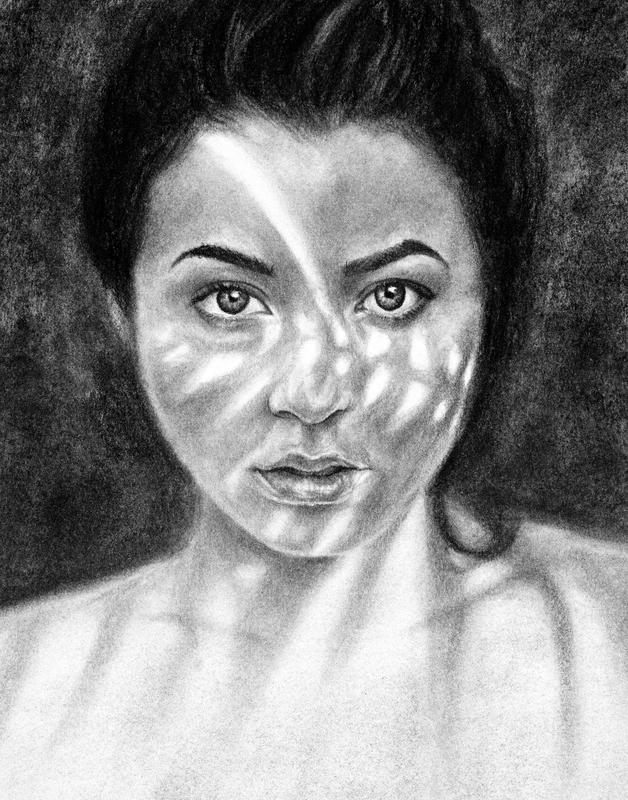 I chose to draw her because I wanted to try new lighting and contrast techniques with charcoal. The pattern of the sunlight on her face proved to be more difficult than I had anticipated. Lighting is always tough, but the subtleties in this lighting forced me to spend more time getting the shading right in the surrounding areas. I used charcoal pencils and blending stumps to draw this. It was drawn on 9×12-inch Strathmore 300 Series drawing paper.